U.S. Environmental Protection Agency (EPA) Administrator Scott Pruitt presents the agency’s steps to address per- and polyfluoroalkyl substances during the National Leadership Summit. Photo courtesy of EPA. The U.S. Environmental Protection Agency (EPA) held a National Leadership Summit to discuss per- and polyfluoroalkyl substances (PFAS), May 22–23. Water Environment Federation (Alexandria, Va.) staff and members attended alongside representatives from more than 40 states, tribes, and territories; 20 federal agencies; congressional staff; and other organizations. EPA Administrator Scott Pruitt presented EPA’s four-step action plan to decide whether the agency should set legal limits on PFAS chemicals in drinking water. The plan includes evaluating the need to set maximum contaminant levels for these chemicals, taking steps to propose their designation as hazardous substances, developing groundwater cleanup recommendations for contaminated sites, and developing toxicity values for them. Summit attendees shared information on ongoing efforts to characterize risks and to develop monitoring and treatment techniques. They identified actions that are underway and those that can be done soon, as well as other actions needed to address challenges. Participants also identified risk communication strategies that can help communities address public concerns with PFAS. 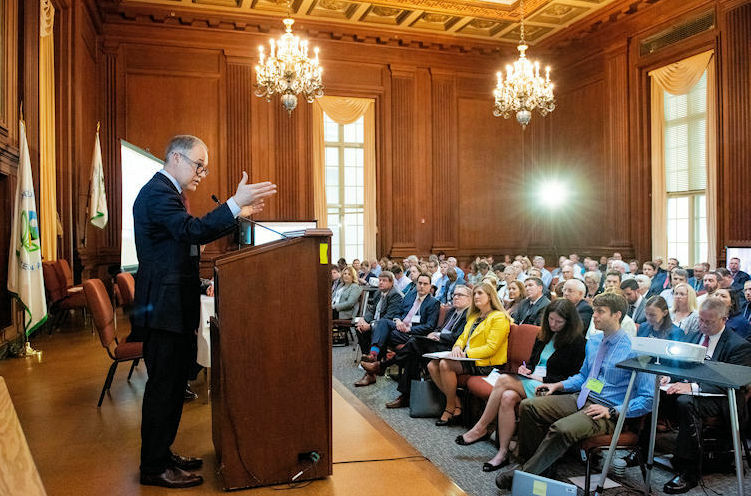 Read more about the discussion and concerns raised during the event in the This Week in Washington article, “EPA Holds Two-Day Summit on PFAS.” See meeting presentations and videos of Pruitt’s remarks on EPA’s website.